Missing Teeth? Why Not “Grow” New Ones? Do you have missing teeth? Do you want to restore your natural, beautiful smile and enhance your oral health? If you would like to have a full smile again, dental implants are the best way to replace missing teeth. They protrude through the gums like a real tooth, therefore appearing life-like and natural. They can replace one or many missing teeth, whether in the front or back of your mouth. Compass Dental has the expertise and the technology to perform full mouth extractions, and subsequently all removed teeth can be replaced with implants. Avoid complicated transfers to other offices – we take care of the entire process from start to finish with implant placement through crown fabrication. Check out our happy clients’ new smiles here! Tired of your dentures slipping? We can design custom dentures that will give you a great fit without slippage – you will never have to worry about slipping or shifting when you eat or speak again! 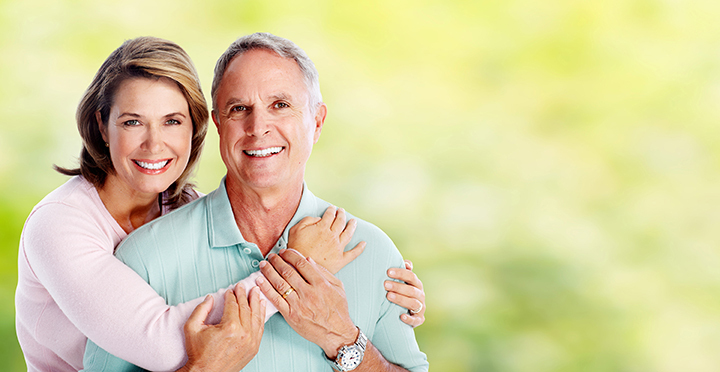 If you wear dentures, please contact us to hear more information about custom dentures. Perhaps you have been told you are not a candidate for implants because you have insufficient bone density. If you have dentures that slip, wander, or tilt, you will be pleased to hear about mini implants. This recent breakthrough will anchor your dentures and alleviate the problems of slippage and trapped food. We can insert mini implants in just one visit, and the procedure is effective and painless. You will be able to eat whatever you like the same day and never worry about loose dentures again. Dental implants should look and function just like real teeth. We encourage you to speak with a variety of dentists in Hickory, NC about dental implant treatment. 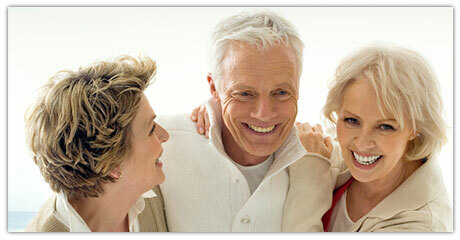 to learn more about dental implants and how dental implant treatment may be the solution for you. Remember, when considering your options, the final result should allow you to chew a variety of foods and return your bright and healthy smile. Implants can be used to replace one or many missing teeth. Are you a patient with no teeth? Implant dentistry can replace dentures that slip and tilt when chewing or speaking. Dr. Ryan Sigmon is well trained and can provide all levels of post placement and crown fabrication. Dental implants are small titanium anchors that are permanently placed into your upper and/or lower jawbone. 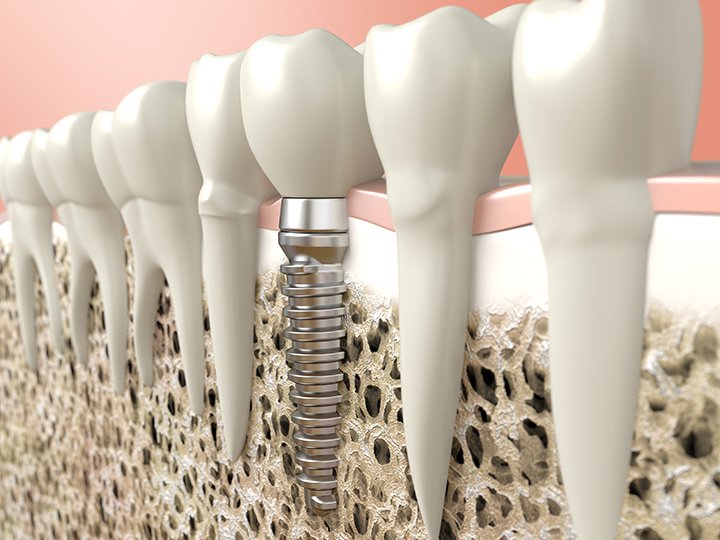 The implant is accepted by the bone and acts very much like your natural tooth root in your jawbone. The implant not only creates a stable foundation to attach single and multiple teeth or dentures to, it also slows bone loss because it stimulates the bone in your jaw. The first recorded use of dental implants was by the ancient Mayans in 600 AD. Of course, it’s painfully obvious that sedation dentistry was not available. The good news is that dental implants and the technology surrounding this procedure has improved dramatically. Today, dental implants are considered the premier treatment option for people with missing teeth. 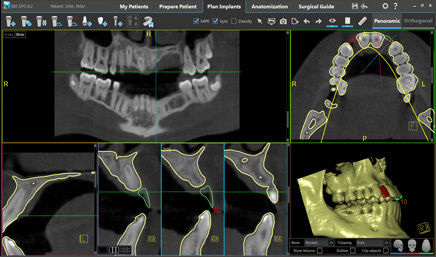 Compass Dental Hickory uses the latest in 3D modeling of your entire mouth. We take measurements of your surrounding teeth, gums, and jaw structure and carefully apply these measurements to construct your dental implants. Our imaging software actually places the implants on your X-ray for even greater precision and to ensure the safest and most effective results. We do not, and will never, use a pre-fabricated solution. We guarantee the porcelain crown is of the highest quality. Increased confidence and self esteem: Get your smile back! Is Dental Implant Treatment right for me? Implant therapy is used for people that have one or multiple teeth missing. If you have multiple teeth missing you would typically have complete or partial dentures; this is referred to as Overdentures. 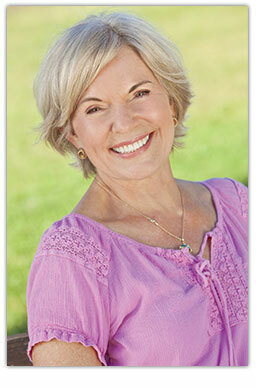 Overdentures are replacement teeth secured by dental implants. Schedule a no-risk, no-commitment consultation with Compass Dental to have Dr. Sigmon discuss your treatment options. Thanks to advancements in dental implant technology and clinical techniques, many people are now candidates for implant-retained overdentures. We recommend and use, the ZEST Anchors LOCATOR Overdenture Attachment. This Overdenture has a patented pivoting technology which increases the attachment’s resiliency for chewing and biting. Dental Implants and insurance coverage are evaluated on a case-by-case basis. Dr. Sigmon can discuss your current insurance and guide you through your options – contact us to set up an appointment!